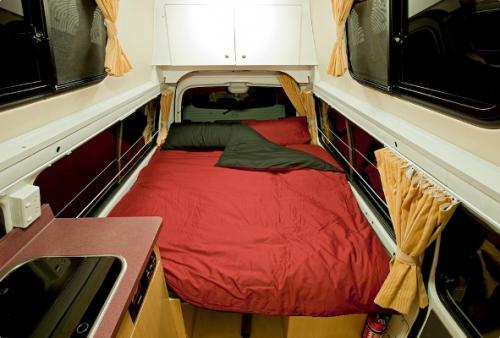 The Wendekreisen Budget 2-Berth offers all the features you would expect in any New Zealand 2 berth campervan. 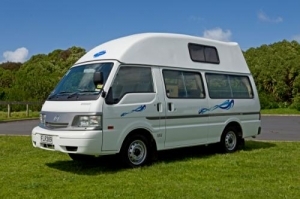 At very low cost, this unit convinces by great compactness, comfortable layout and easy handling on the road. Due to a recent upgrade of our fleet, all budget 2 berth units are now 2004 model or newer. The vehicle offers a fully equipped kitchen, a large comfortable bed with linen and ample storage for two people. 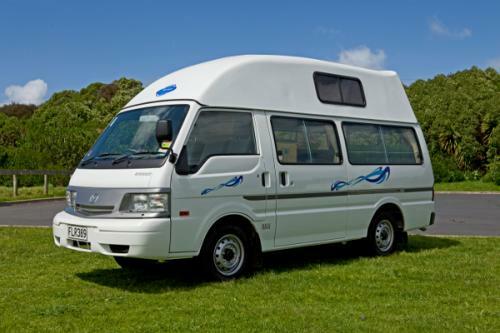 If you are looking for a cheap New Zealand camper, this vehicle will offer great features at reasonable cost. 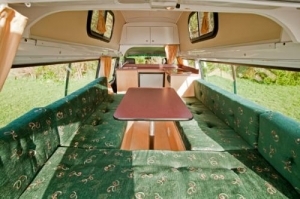 The self containment certificate ensures that you can stay in many places off the beaten track. Fuel consumption: 12 litres/100 km approx.